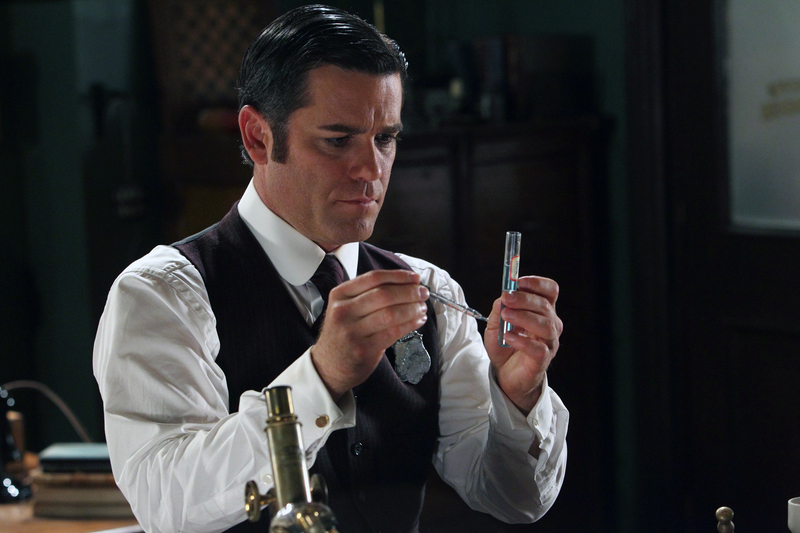 Detective William Murdoch, played by Yannick Bisson. 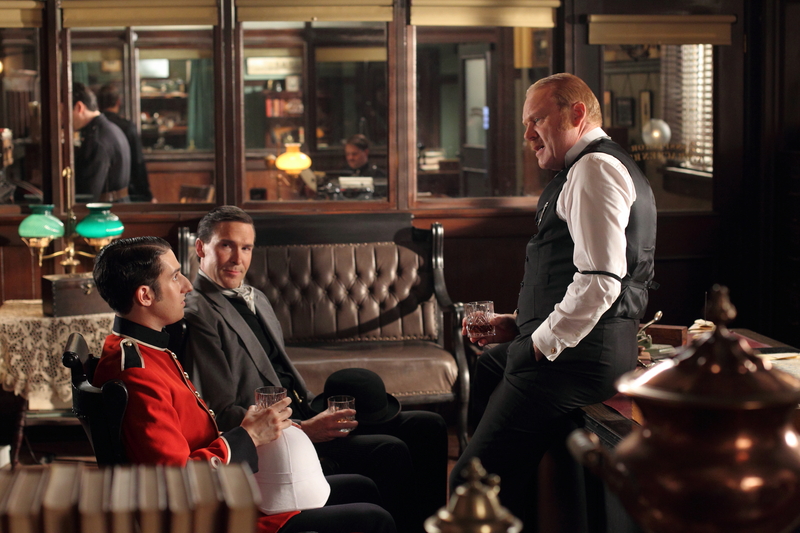 On Monday evening the UK will be introduced to the new series of Murdoch Mysteries, a Canadian period crime drama. 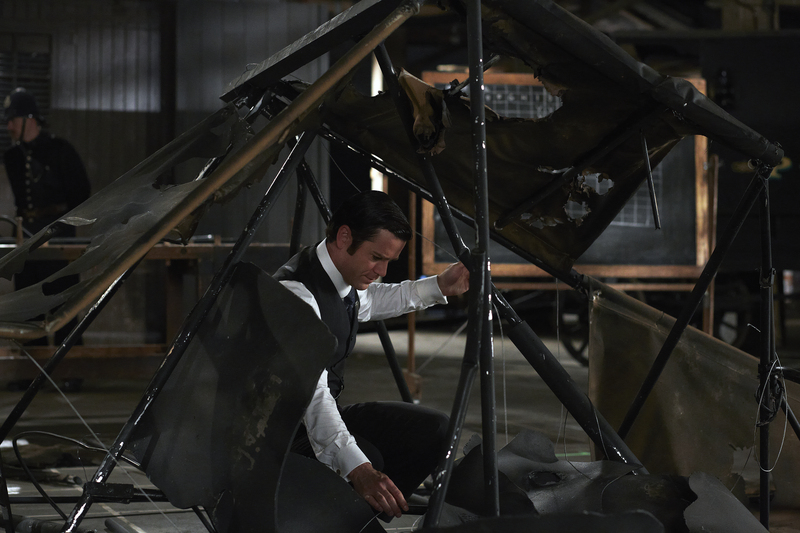 Set in Toronto at the turn of the century, our hero of the hour is William Murdoch, a dapper detective who uses revolutionary forensic methods of investigation (like fingerprinting) to solve mysterious murders. Episode one begins with a fantastic flying machine crashing into the city, and it is up to Detective Murdoch to investigate why the airplane crashed, and how it came to be responsible for the death of an innocent bystander. I’m really looking forward to seeing some of the costumes for this show. From these special preview photos it looks like there are going to be some wonderful dresses, and I can’t wait to see how the producers have presented the fashions at the turn of the century. Let’s not forget the men’s couture in all our excitement though – it looks like there are going to be some very sharp suits (with braces, which are making a comeback in Britain), and some very smart uniforms. 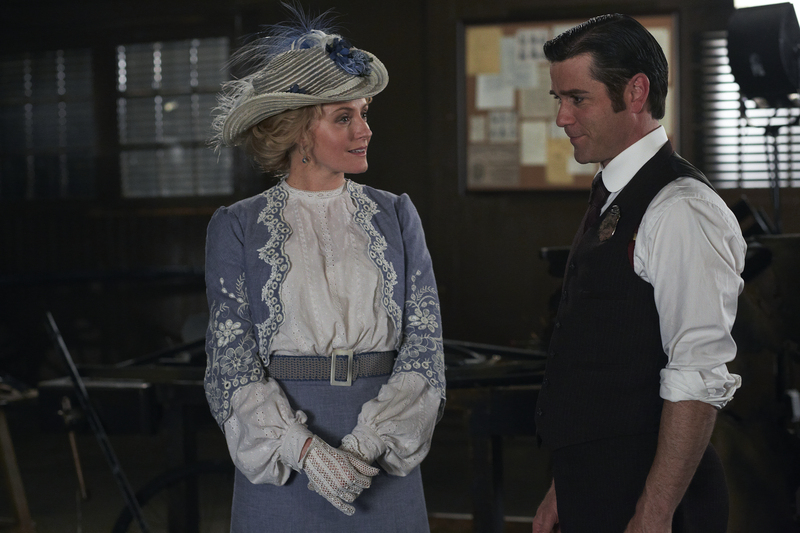 Dr. Ogden (Hélène Joy) and Detective Murdoch (Yannick Bisson) discuss their relationship, as well as her wonderful new dress and hat. Another wonderful turn of the century dress and jacket. MOUNTIES! There are going to be MOUNTIES in this show! … and what a cliffhanger. 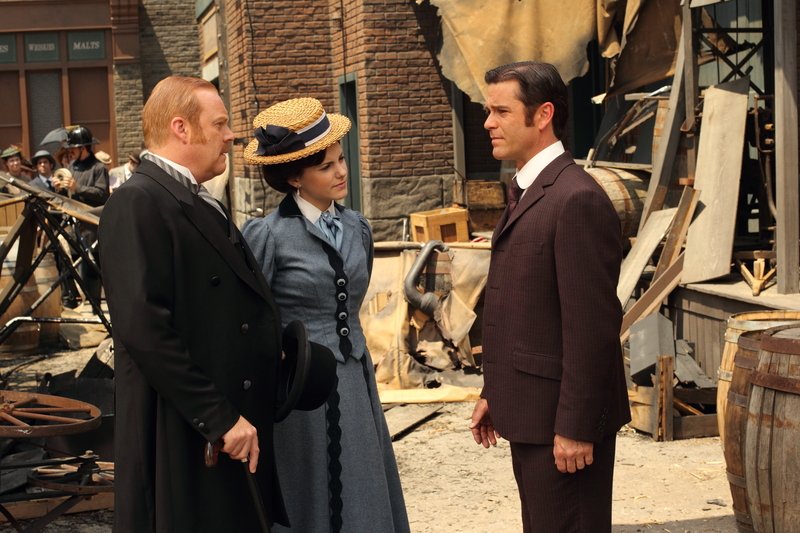 Murdoch Mysteries starts on Monday evening at 9pm on Alibi channel. Thanks for your feedback – I quite like the videos, I think they add an extra little something to a post. Perhaps I’ve been getting a little carried away with them though. Excellent site you have here.. It’s hard to find excellent writing like yours these days. I truly appreciate individuals like you! Take care!! meal!! But yeah, thanks for spending time to talk about this issue here on your site. 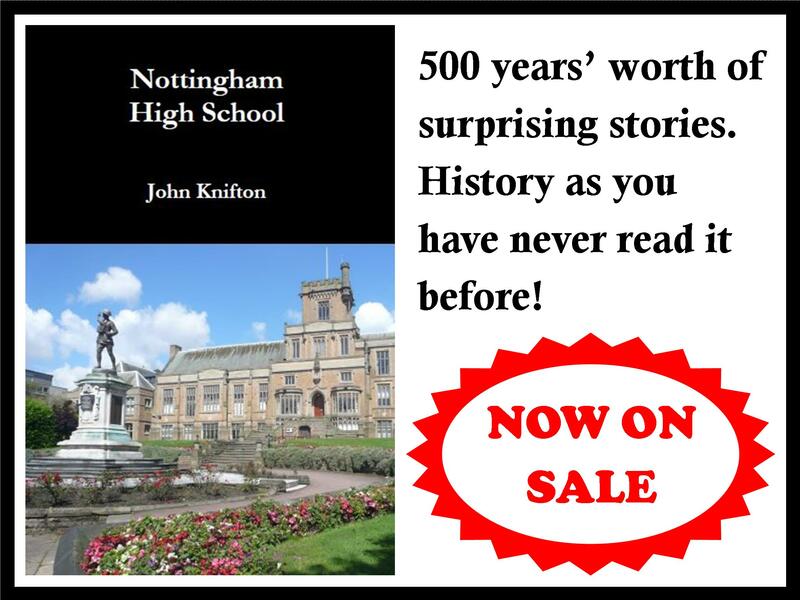 I like this web site very much, Its a really nice situation to read and incur information. “Never contend with a man who has nothing to lose.” by Baltasar Gracian.